After the sticker shock of Mango Mama, I wasn't really prepared for another version of mango robbery. 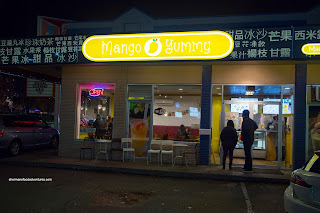 However, with the promise of more reasonable prices with fairly comparable desserts, I was swayed to visit Mango Yummy. 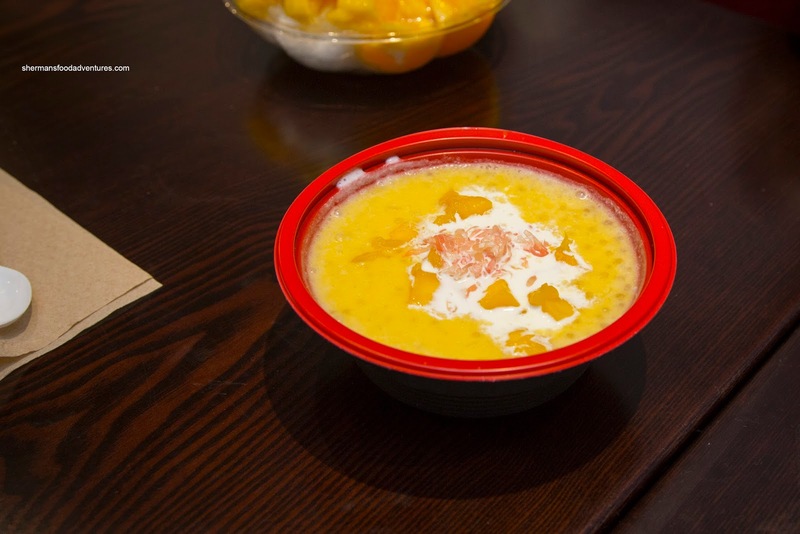 In reality, I didn't have much of a choice since we were needing to find the best Mango Sago in town. Since the dish isn't the easiest find, it was by default I would end up at Mango Yummy. 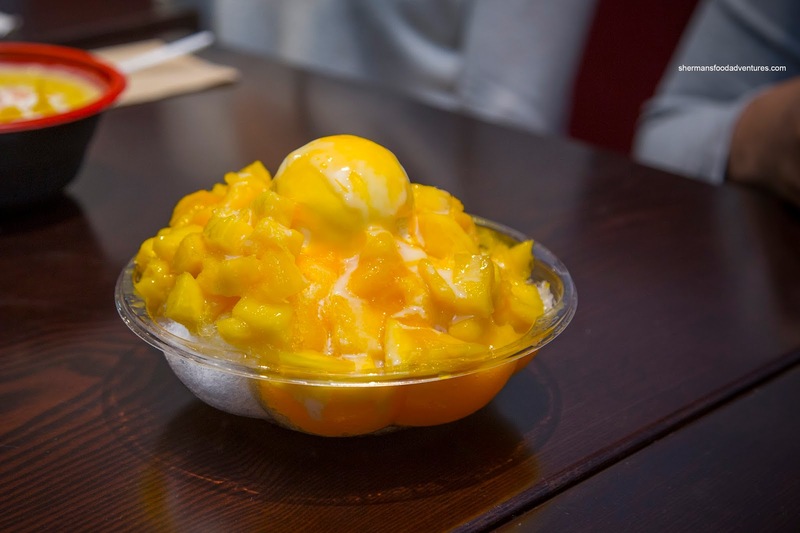 We started with the Signature Mango Shaved Ice for a very palatable $8.00. To compare with Mango Mama, the one here featured less fluffy ice as well as mango chunks that appeared to be less sweet. With that being said, the whole thing wasn't remarkably inferior to the one found at Mango Mama. Considering the portion size and price, this was a much better value. As for the Mango Sago and Grapefruit, it was thinner than the one at Mango Mama. I found it sweeter though with smaller chunks of mild-tasting mango. Again, for $7.00, this was $3.00 cheaper than Mango Mama. Honestly, I would be happy with this version despite being not-as-good as the one at Mango Mama. 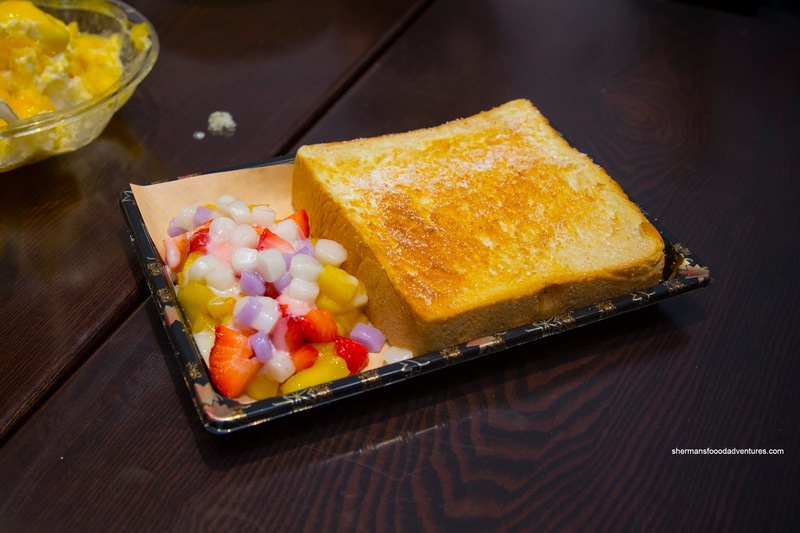 On my suggestion, we tried the Mix Fruit & Mochi Honey Thick Toast. Turns out it was not a great idea since the toast had a stale quality to it. Furthermore, the excess amount of granulated sugar on top (that was not caramelized) made for a gritty and overly sweet mouthful each time. On the other hand, the fresh fruit with mochi on the side was pretty good. 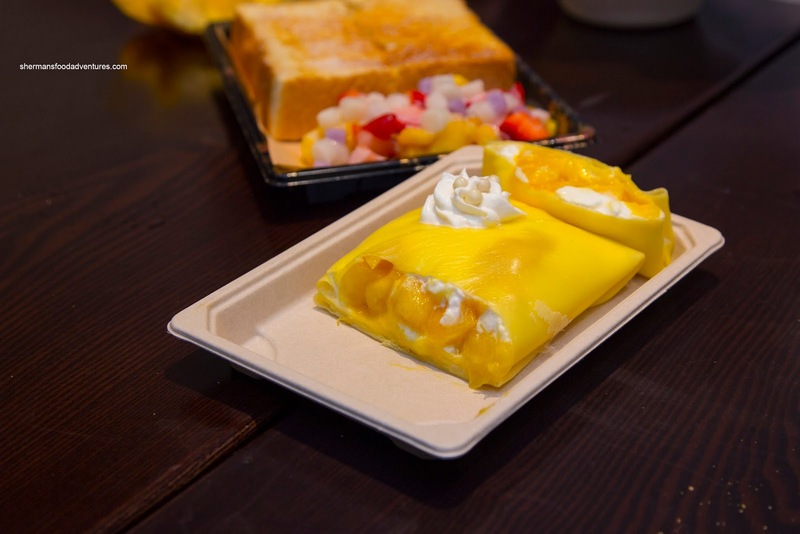 Back to the mango, we had the Mango Crepe filled with a minimal amount of fresh whipped cream and plenty of diced mango. I found the crepe to be a touch thick but not overly chewy. Flavourwise, the dessert wasn't exactly impactful, but pleasant nonetheless, especially for $6.00. That pretty much sums up Mango Yummy, especially compared to Mango Mama - considerably less expensive, but also not as good either.